Two well-informed books mark the 50th anniversary of the Cuban revolution. 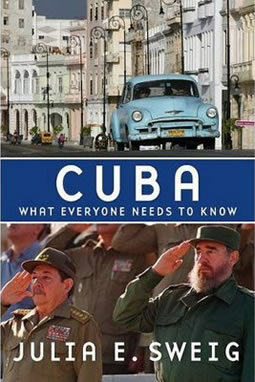 Cuba – what everyone needs to know by Julia E. Sweig sets out to examine why the Cuban revolution of 1959 has been able to defy its hostile and powerful neighbour 90 miles to the north despite a 50-year campaign of destabilisation, backed up by a trade blockade, an attempted invasion and American-led assassination attempts against Fidel Castro. 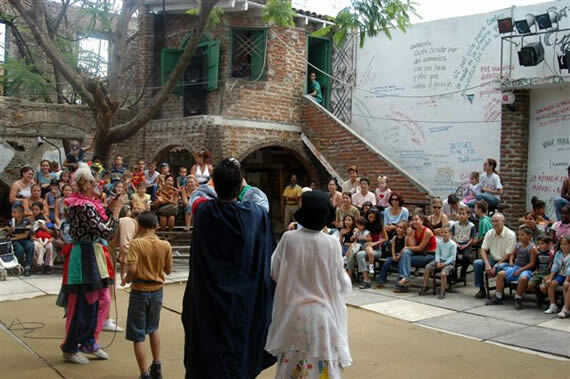 The book traces the early history of the revolution, outlining the mass support that it attracted and laying to rest one of the great myths about Cuba – that the revolution was carried out by a handful of guerrilla fighters led by the Castro brothers and Che Guevara in a kind of heroic coup d’état. The political ground was in fact carefully prepared by different revolutionary and activist organisations in each region, which eventually united under the umbrella of the 26th July Movement. In Oriente province on the east of the island, Frank Pais headed a clandestine network called the Llano or the Urban Underground. 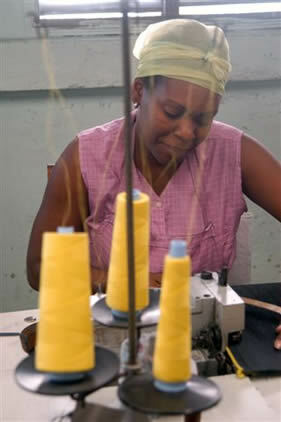 This not only organised the supplying of Fidel’s rebel army, but also took most of the strategic and tactical decisions with regard to the campaign in the mountains. The fact that the revolution was so much more than the work of just “a handful of bearded rebels” is the key to understanding how it has survived. 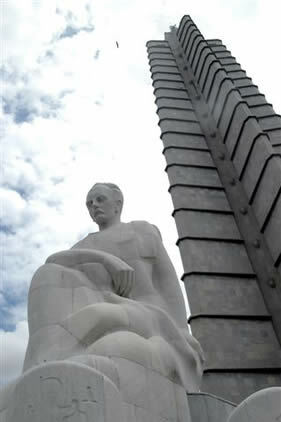 A succession of American presidents, all deeply hostile to the achievements and aims of the revolution, could never comprehend that the seizure of US assets in Cuba was popular or that Cubans were willing to defend a system that raised the literacy level to 100%, that educated all its children properly and that set up one of the best public health systems in the world. Nor did they understand the nationalist pride in Cuba after the revolution. The book takes the form of a series of questions which the author then answers. Although this might at first sight seem a clumsy format, it works well in this case because the questions do not interrupt the flow and development of the narrative, but arise from it. Sweig takes the reader through the early liberation struggles first against Spain, then the US, before describing the revolution and the fundamental changes to society that it introduced. It shows how the US attitude forced Castro into the arms of the Soviet Union. Castro went on to submerge his organisation and all the revolutionary groups into the Cuban Communist Party (PSP) even though the actions of the party in the revolution itself were less than supportive in many instances. “Indeed, many in the underground opposition,” the author writes, “viewed the PSP with scepticism or even derision, due to its occasional collaboration with Batista’s [dictator overthrown by the revolution] police forces … and its broader alliance with the Batista government of 1940-1944”. The author characterises Castro as a “hybrid thinker”, willing to “draw from his entire history and experience to interpret events, his responses to them and his efforts to shape them”. Many of the subsequent initiatives of the Cuban government including the attempts to spread the revolution into other South American countries, Guevara’s forays into Africa and Bolivia, and the dispatch of 30,000 troops into Angola in 1976 went unsupported by the Moscow Stalinist leaders. It was not until the collapse of the USSR in 1991 and the end of the Cold War that the Cuban revolution faced its greatest trial. 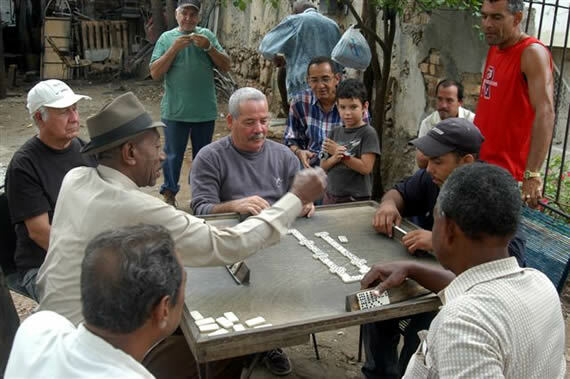 The US government, confident that Cuba would finally fall into its lap, tightened the blockade at the same time as the subsidy that had come from the USSR dried up. So why did the revolution not collapse? The book is dismissive of US government policy and strategy right up to the present day, though it does hold out hopes of change under the Obama administration. 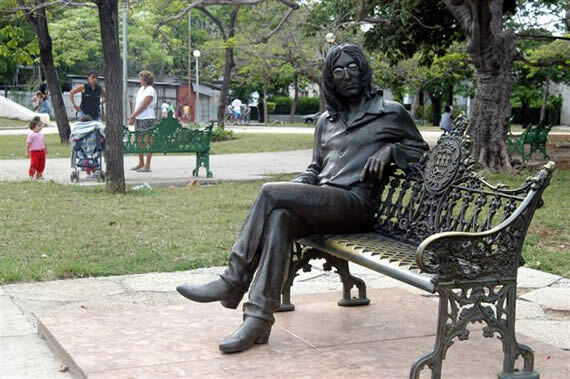 But it remains, at heart, a liberal, albeit sympathetic interpretation of the history of the revolution in Cuba. What is missing is an understanding of that history in the context of Stalinism, which by 1960 was more than just a theoretical betrayal of revolutionary ideas. It was a world-wide counter-revolutionary force. 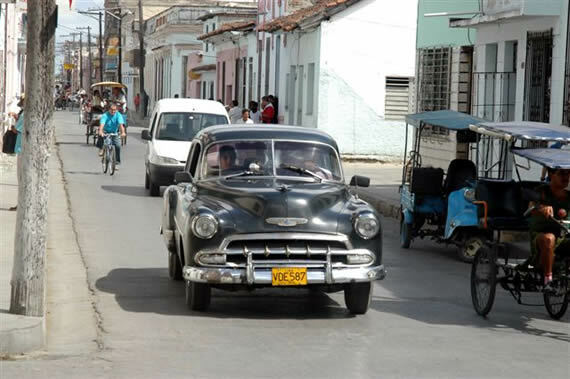 Cuba was embraced by Stalinism and survived, but not untouched. The same Stalinist distortions of socialism as in the countries of East Europe were to be found in Cuba, albeit in a much milder form: the privileges of the bureaucracy, the lack of democracy, the lack of freedoms of the press and of speech, the political prisoners and so on. 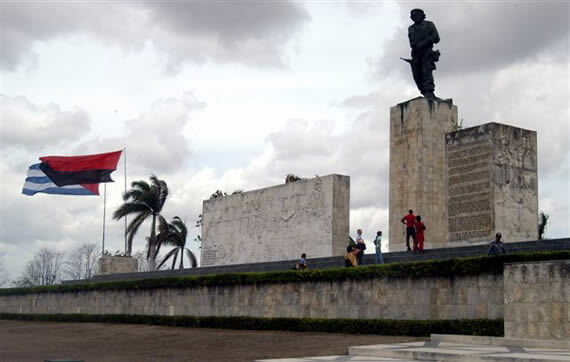 Many of the traditions and practices of the Cuban revolution were, however, alive and well and were an important factor in avoiding the complete stifling of the new revolutionary energy by Stalinism. The dilemma of the Cuban revolution, relying as it did for its survival for 25 years on the Soviet Union, is not seen in the book in this larger world-wide context, although the details of the contradictions and clashes that this relationship gave rise to are well brought out. 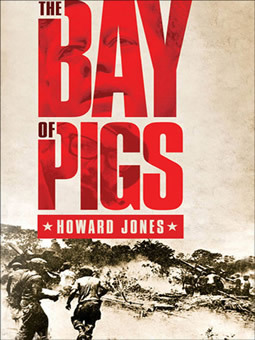 The Bay of Pigs by Howard Jones tells the story from the other side of the fence, from inside the bowels of the US government. The book establishes beyond any reasonable doubt that President Kennedy knew and approved of the attempts to assassinate Castro and saw it as integral to the plans for an American-inspired invasion of the island in 1961, shortly after he was installed in the White House. He was, in fact, together with his brother Robert, obsessed with Cuba and determined to do whatever was necessary to topple Castro and install a friendly regime there. Richard Bissell, the CIA’s deputy director of plans (in charge of “black” operations) who was one of the key players in the conspiracy, received two White House calls within three days of Kennedy’s inauguration urging him to “establish an executive action capability inside the CIA”. He was to create a special unit, separate from the rest of the organisation, whose purpose was, in Bissell’s words, “to secure the removal from office or to render powerless or in some other way to frustrate figures, usually political figures … whose activities are considered contrary to the interest of the United States”. Executive action covered a “wide spectrum of actions” intended to “eliminate the effectiveness” of foreign leaders, with assassination as the “last resort”. It is noteworthy also that the idea of inventing an incident or “seeking pretexts” for an invasion of Cuba (as in Vietnam) was seriously considered, and that when the invasion eventually did go ahead, the Central Intelligence Agency organised a couple of phoney defections of pilots (in fact Cuban-Americans) with their re-painted American planes for the benefit of the press (who quickly saw through the story). All the numerous covert initiatives against Cuba and Castro during the next three years including the invasion attempt of April 1961, were fatally hamstrung by Kennedy’s own insistence on maintaining “plausible deniability”, of always being in a position to repudiate American involvement. This, together with the poor advice and planning on the part of the CIA (who were in control of the operation) and the Joint Chiefs of Staff of the armed forces (who failed to warn Kennedy of their misgivings) resulted in a series of debacles. The most serious of these was of course the invasion by over 1,500 Cuban exiles, armed and trained by the US in Guatemala, Florida and other places. The book recounts in detail the role of the Kennedys, other politicians (several of whom warned against any American involvement), the CIA at various levels and the armed forces, in the preparation and execution of the invasion. The plan was to assassinate Castro (with the help of the Mafia) at the time of the invasion. It was naively hoped that the arrival of the invasion force would spark an uprising, and that once a strong beachhead had been established on the island, the invaders with their Cuban friends could then credibly call on the US for help. The detail of the plan was constantly changed and adapted to meet the political requirement of keeping secret the intimate involvement of the US state. There was little co-operation between the CIA and the armed forces, but the plot, which in essence had been hatched by the previous Eisenhower administration, had a momentum of its own and Kennedy wanted to chalk up an early victory in the escalating Cold War with the Soviet Union. So the invasion force sailed, landing at Zapata in the Bay of Pigs on the South of Cuba, where it was crushed but not before 1,600 of Castro’s forces had been killed. The invading force lost 120 killed and about 1,200 captured. The author conducts a close examination of all the reasons for the defeat of the invading force by Castro. He puts forward the cancellation of the air strikes against Castro’s planes on the day of the invasion and the day before (which Kennedy called off for fear of being found out), the “fierce determination of Castro and his followers to resist the invasion”, the CIA’s operational failures, the lack of any popular insurrection to support the invasion and the fact that the landing force was “too large to be a secret, too small to win”. He argues that the Cold War mindset, with its pathological fear and exaggeration of the threat of Communist aggression, had gripped the Kennedy administration and blurred its ability to make careful decisions. He accuses the Kennedy brothers of such personal animosity towards Castro that they lost their hold on reality. The fiasco at the Bay of Pigs did not, however, lead to any change of policy towards Cuba. On the contrary, in the effort to restore US prestige, the vendetta against Cuba was stepped up. Less than two weeks after the Bay of Pigs fiasco, Kennedy gave contingent approval to an all-out invasion by 60,000 US troops with the aim of over-running the island in eight days. And the plans for assassinating Castro were resurrected. It was attorney-general Robert Kennedy – variously described by others in the administration as “a sort of rat-terrier type”, an “attack-dog” and the president’s “hatchet man” – who co-ordinated the operation. But all these plots came to an abrupt end in October 1962, when the Kennedy administration discovered the Soviet missile sites in Cuba. At the end of that dangerous stand-off, the Soviet Union agreed to remove the missiles and the US promised not to invade Cuba. But, Kennedy continued to plot and scheme against Castro. Assassination plans were resurrected (again), and in the autumn of 1963 Kennedy gave orders to plan another invasion by Cuban exiles, this time to be followed by direct US military involvement. In November Kennedy was himself assassinated. “The CIA’s 1967 internal report”, writes the author, “trenchantly noted the irony `that at the very moment President Kennedy was shot, a CIA officer was meeting with a Cuban agent in Paris and giving him an assassination device for use against Castro’ ”. Very thorough research has resulted in a book that exposes in detail the conspiratorial workings of US governments in the 1960s, which pointed the way and set the precedents for the conspiracies against Iraq and Afghanistan 50 years later under George Bush and Tony Blair.